For beauty, I use Giorgio Armani Luminous Skin Foundation, their High Precision Retouch Concealer, Boy Brow in the clear gel, and Perricone MD No Mascara Mascara. I apply my foundation and concealer with my finger tips to give off a minimal, natural appearance. Once I finish, I use Giorgio Armani’s Micro-Fil Loose Powder to set my makeup for the day. 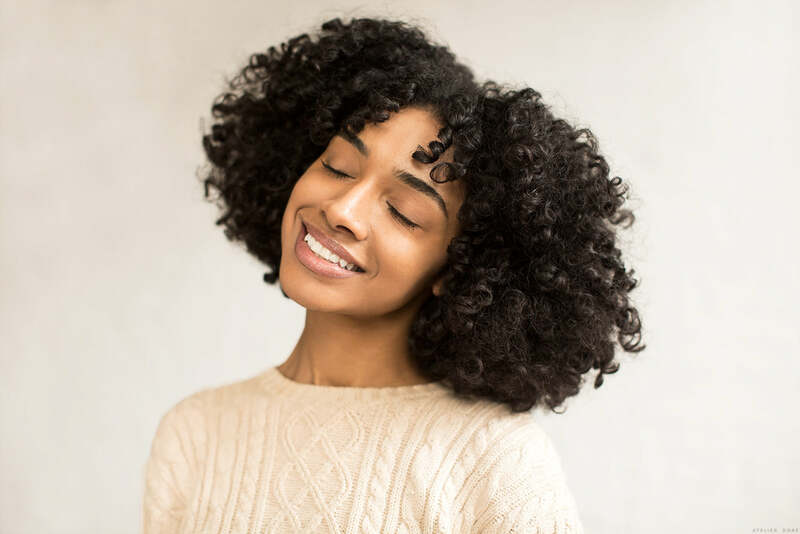 For hair, which tends to consume the majority of my morning, I damp my hair with water to reshape my curls, apply a dime size amount of Devacurl’s styling cream and softly finger comb my hair so each curl can air dry looking fresh and bouncy. Day: I tend to travel pretty light. The only thing I bring with me is a small tube of Vaseline and blotting papers from Boscia since my face produces a lot of oil throughout the day. Night: If I plan go out at night, I love to brush my curls back into tight low bun, refresh my concealer, add a sheer layer of highlighter cream from Fenty Beauty and lastly spice up my look with a matte lipstick from Make in the scarlet color. Before heading to bed, I remove any trace of makeup by using Glossier’s Milky Jelly Cleanser and Christian Dior’s Gentle Toning lotion. Next, I use Yuli Beauty nectar facial serum to help hydrate my skin followed by Perricone MD High Potency Evening Repair and their Firm Eye cream. Can’t forget my lips! If my lips needs a bit of rejuvenation, I like to exfoliate them using Fresh’s Sugar Lip polish, which leaves them feeling soft and hydrated. I also always ensure I get at least 8 hours of sleep, drink a glass of water and occasionally treat myself to a small bowl of blueberries. You may remember Shereeen from here or here. We continue to love her curls and that smile. Follow along with her on Instagram here. My gosh she’s the cutest!! Moi qui ai les cheveux raides, je suis fascinee par toutes ces belles boucles ! 8 hours of sleep is must necessary for any of human body.